DESCRIPTION One of the joys of a day trip is traveling light. 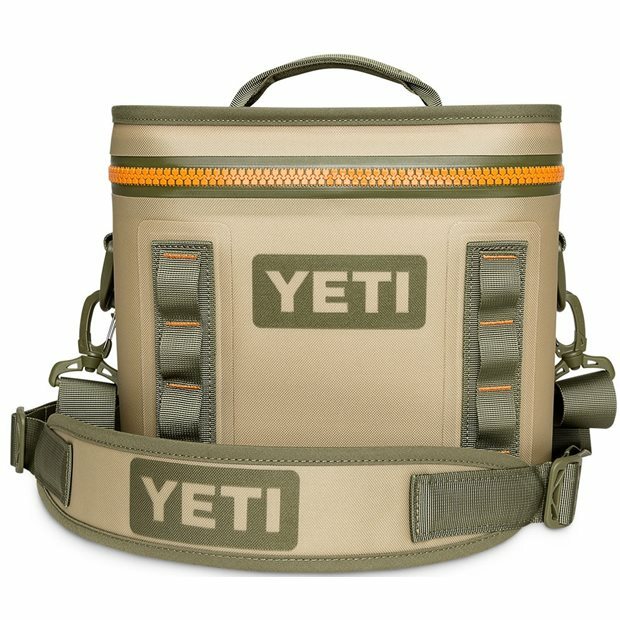 The YETI Hopper Flip 8 offers a smaller size that is perfect for keeping your food and drinks cold while you are out. With its rugged exterior and extreme cold-holding insulation, you'll find this soft cooler to be anything but soft. It features a Dryhide Shell that is resistant to water, mildew, punctures and UV rays. It also features Coldcell Insulation that uses rubber foam for cold-holding. Additional features include a Wide-mouth Opening for easy access, a Hydrolok Zipper that is leakproof and waterproof, and a Hitchpoint Grid that attaches to pretty much anything.